Freeman Retirement Living and Swindon Borough Council have signed an agreement to include specialist age-exclusive housing in the Wichelstowe development in Swindon. The company, a division of family-run MF Freeman Group, specialises in developing high-quality housing tailored for the over-55 market. The Wichelstowe project, will bring quality new homes and improved facilities to the Swindon area. The Canalside section of the development will be the heart of this diverse and distinctive community. Stylish and bursting with character, it will feature easily-accessible amenities set amongst beautiful landscaping and greenways. Freeman Retirement Living provide specialist homes that are designed to adapt to the needs of later life. The company prides itself on delivering spacious and modern living environments. Their sites provide easy access to necessary facilities such as supermarkets, health infrastructure and public transport. They also work hard to ensure that their retirement living villages form part of a thriving, like-minded community. The dedicated over-55 homes at Wichelstowe will be within walking distance of Waitrose and the buzzing atmosphere of the Canalside Square, where residents can shop, eat and enjoy the views. 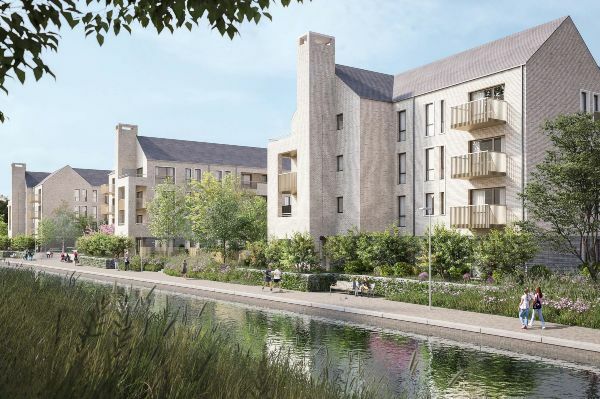 The homes themselves will be developed around landscaped courtyards along the waterside, providing an excellent outlook over the canal and beyond. Luke Freeman, Joint Chief Executive of MF Freeman Group and Managing Director of Freeman Retirement Living, said: “We are delighted that plans are progressing so well at Wichelstowe. The development is going to bring a new lease of life to the Swindon area, and we are excited to be part of building this lively new community. Councillor Gary Sumner, Swindon Borough Council’s Cabinet Member for Strategic Planning, said: “Quality will be the hallmark of our Canalside development and the Freeman retirement village will perfectly complement the high-class homes and facilities that are already taking shape alongside the stunning Wilts and Berks Canal. Freeman Retirement Living have now submitted the full planning application, which provides their complete vision of the development. Should the application be granted, works will commence on the site next year.